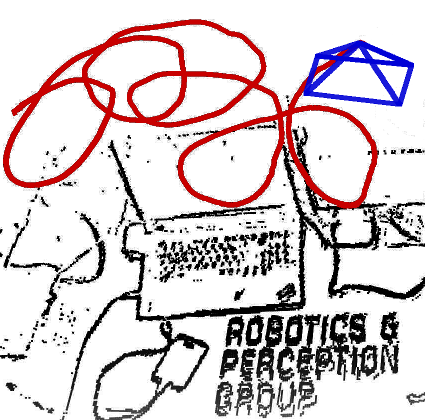 Welcome to the website of the Robotics and Perception Group led by Prof. Davide Scaramuzza. Our lab was founded in February 2012 and is part of the Department of Informatics at the University of Zurich, and the Institute of Neuroinformatics, a joint institute affiliated with both the University of Zurich and ETH Zurich. Our mission is to develop autonomous machines that can navigate all by themselves using only onboard cameras, without relying on external infrastructure, such as GPS or motion capture systems. Our interests encompass both ground and micro flying robots, as well as multi-robot heterogeneous systems consisting of the combination of these two. We do not want our machines to be passive, but active, in that they should react to and navigate within their environment so as to gain the best knowledge from it. Survey paper on Event-based Vision! Guillermo Gallego, Davide Scaramuzza and 10 other international experts wrote a joint, 25-page-long survey paper on event-based cameras, from their working principle to algorithms and applications. Read the paper here. 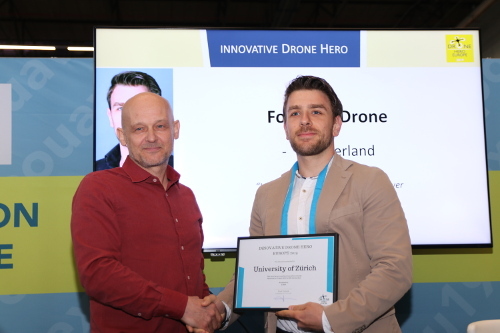 Our work on the foldable drone, the first quadrotor able to change morphology in flight to adapt its shape and size to different tasks, won the Drone Hero Award Contest 2019 for the category Innovative Drone. Read the paper here and watch the video here. 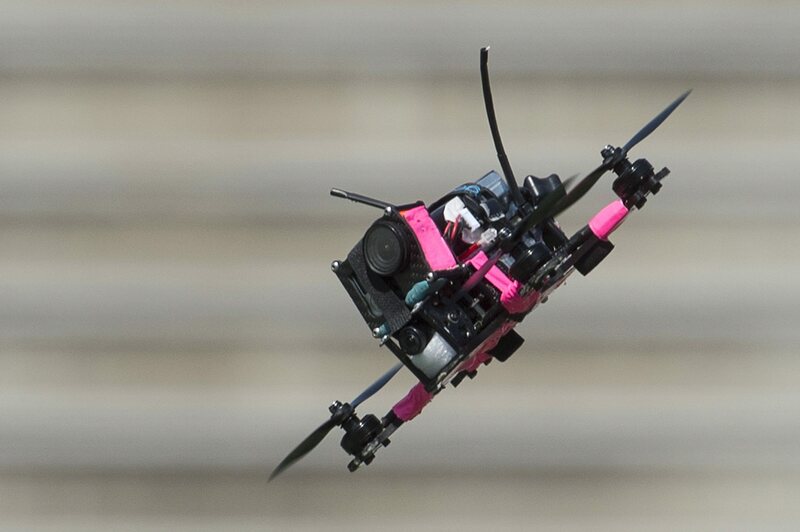 Our research on autonomous drone racing was featured on The New York Times. 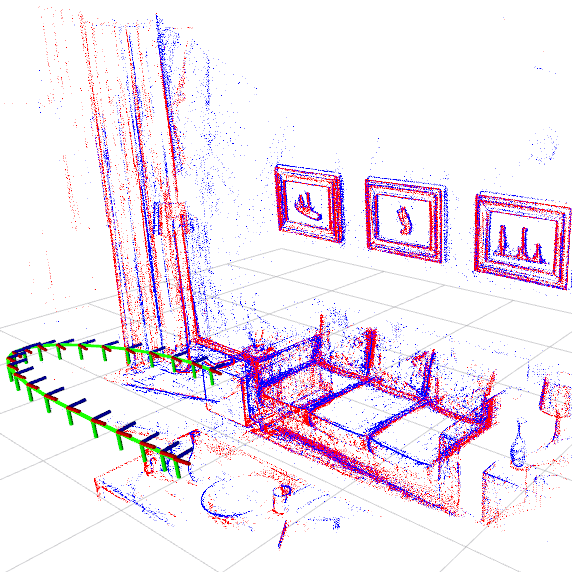 Check out the article for more details..
CVPR 2019 Workshop on Event-based Vision - Call for Papers and Demos! Call for papers and demos! On June 17, 2019, Davide Scaramuzza (RPG), Guillermo Gallego (RPG), and Kostas Daniilidis (UPenn) will organize the 2nd Workshop on Event-based Vision and Smart Cameras at CVPR in Long Beach. Check out our speakers lineup. RPG news reach over 200 million readers in 2018! Our lab received an impressive media coverage during 2018, with more than 200 million readers across the world. We release a framework to evaluate feature tracking for an event camera. 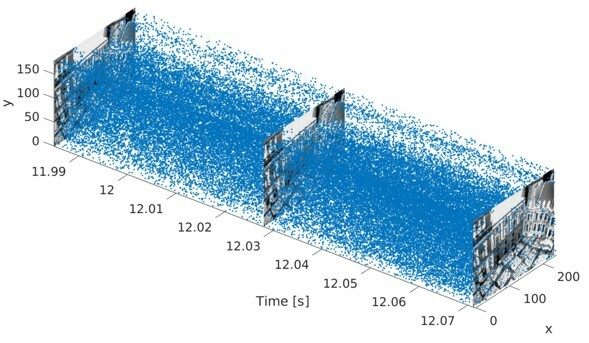 The code provided is implemented in Python and produces paper-ready plots and videos for event-based feature tracks. Paper, YouTube, Code on Github. Our paper titled "The Foldable Drone: A Morphing Quadrotor that can Squeeze and Fly" received great attention from the media. It was covered by several newspaper and magazines, among which: TechCrunch, The Verge, CNET, La Repubblica, Tages Anzeiger, Popular Mechanics and IEEE Spectrum. Read the paper here and watch the video here. On June 16 and 17, 2019, Davide Scaramuzza (RPG), Guillermo Gallego (RPG) and Kostas Daniilidis (UPenn) will organize a workshop at CVPR in Long Beach about Event-based Vision. Check out the speakers lineup on the workshop website. We release the code for Event-based Multi-View Stereo (EMVS): 3D reconstruction with an event camera. 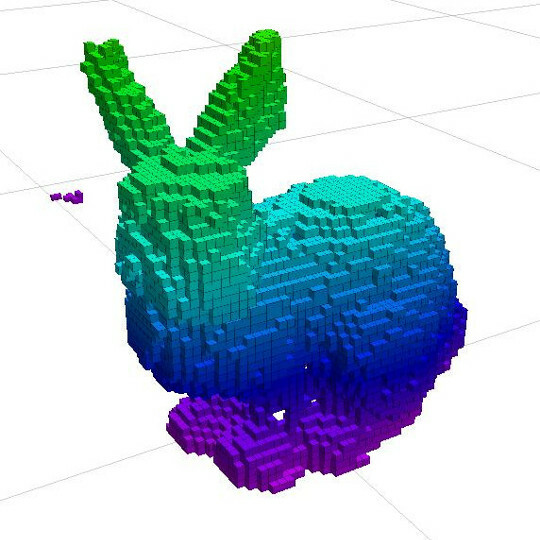 The code provided is implemented in C++ and produces accurate, semi-dense depth maps without requiring any explicit data association or intensity estimation. The code runs in real-time on a CPU. Paper accepted in RA-L 2018! Our paper The Foldable Drone: A Morphing Quadrotor that can Squeeze and Fly has been accepted for publication in the Robotics and Automation Letters. Read the paper here and watch the video here. We are excited to announce that our RPG control framework gets a new addition: our Perception-Aware Model Predictive Control (PAMPC) is opensource and the source code is available here. PAMPC combines control and planning in one solution and allows to not only achieve an action objective but also compromise it with a perception objective. Further details are available in our paper presented at IROS 2018. Video. We have several openings at both PhD and Postdoctoral levels in Robotics, Machine learning, Reinforcement Learning, Control, Computer Vision, Event Cameras, and beyond. Info and how to apply here. We release ESIM, our new event camera simulator. 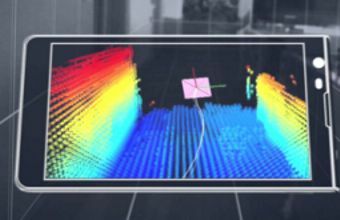 ESIM can simulate events accurately and efficiently, as well as other sensors such as a conventional camera (including motion blur! ), and an inertial measurement unit (IMU). 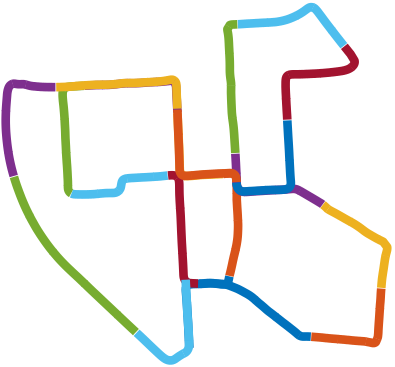 ESIM readily provides ground truth depth and optic flow maps. Multiple rendering engines are available, including a photorealistic rendering engine based on Unreal Engine, and a fast 3D engine based on OpenGL that can simulate events in real-time. Paper, YouTube, Project Page, Code on Github. 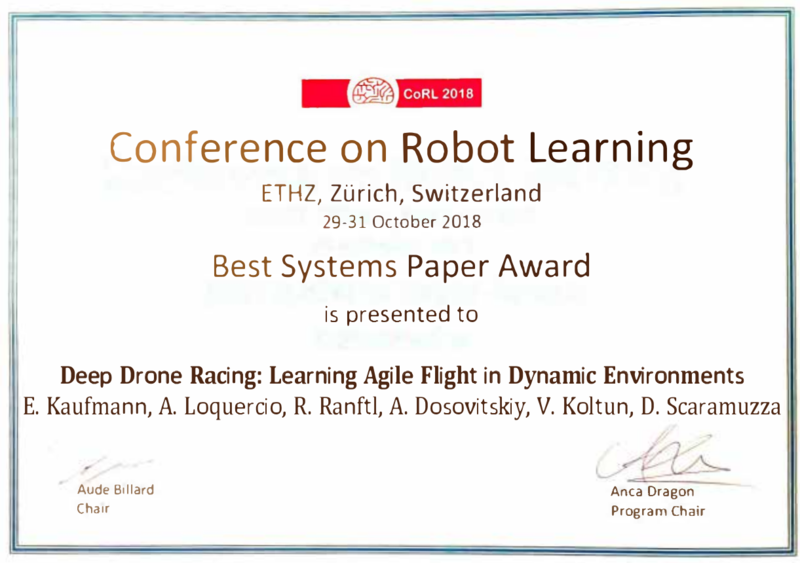 Our paper Deep Drone Racing: Learning Agile Flight in Dynamic Environments won the Best Systems Paper Award at the Conference on Robotic Learning (CoRL) 2018! Upon large requests, we decided to release on Arxiv the PDF of the paper describing the approach with which we won the IROS 2018 Autonomous Drone Race. Our approach fuses deep learning and optimal control to achieve the ultimate flight performance. 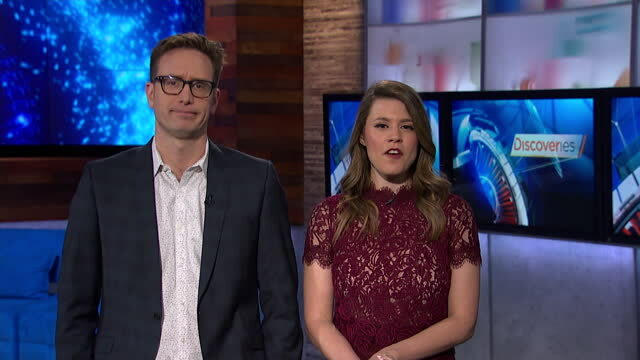 For these reasons we titled the paper: Beauty and the Beast. Who is the Beauty and who is the Beast? ;-) Paper, YouTube. We are proud to announce that our team won the IROS Autonomous Drone Race Competition, passing all 8 gates in just 30 seconds! In order to succeed, we combined deep networks, local VIO, Kalman filtering, and optimal control. Watch our performance here. Zuckerberg announced Zurich-Eye built Oculus Quest! 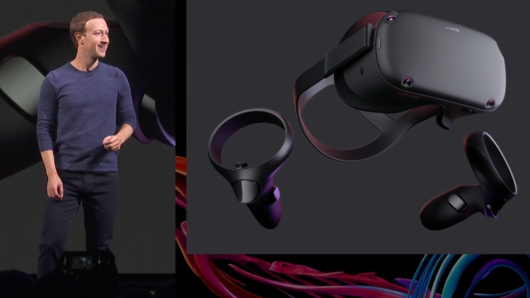 Mark Zuckerberg just announced the new Oculus VR headset, called Oculus Quest. This is what our former lab startup, Zurich Eye, now Oculus Zurich has been working on for the past two years. Watch the video. IROS 2018 Workshop: "Vision-based Drones: What's Next?" On October 5, 2018, Giuseppe Loianno (New York University), Davide Scaramuzza (RPG), and Vijay Kumar (UPenn) will organize a workshop at IROS in Madrid about "Vision-based Drones: What's Next?". Check out the speakers lineup on the workshop website. 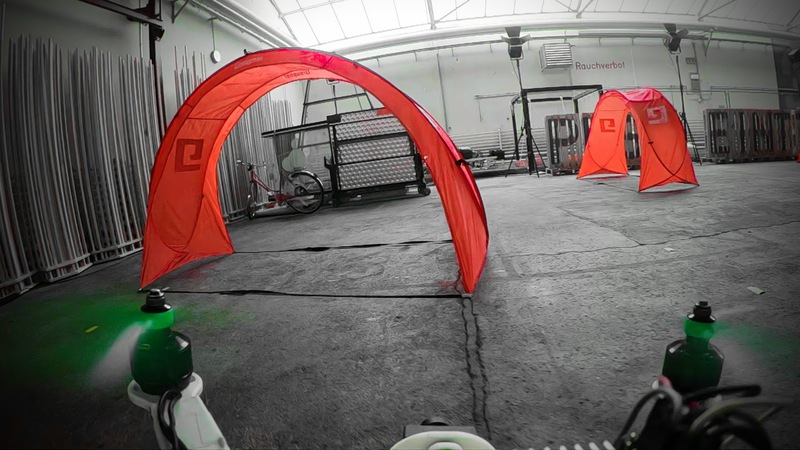 Our lab will partecipate in the IROS 2018 Autonomous Drone Race in Madrid. Further details are available here. 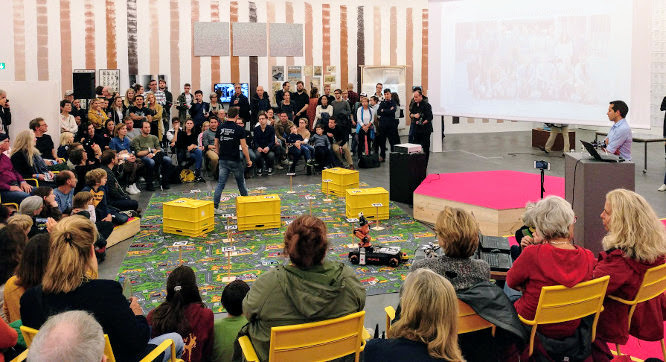 We performed a live quadrotor demo at the Zurich Kunsthalle during the Langen Nacht der Zurcher Museen, as part of the 100 Ways of Thinking show, in front of more than 200 people. Check out the media coverage here. Our research was feature on Neue Zucher Zeitung. Check out the article here. Our lab received great Swiss media attention (NZZ, SwissInfo, SRF) for our live flight demonstration of a quadrotor entering a collapsed building to simulate a search and rescue operation. Check out the video here. 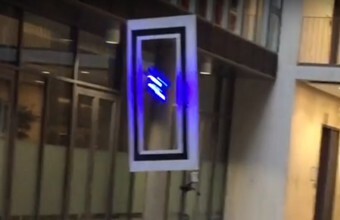 Our live demo of a quadrotor entering a collapsed building through a narrow gap was featured on the website of the Swiss Federal Office for Deference Procurement (armasuisse). More details are available here. Facebook-Oculus Zurich, former Zurich-Eye, keeps expanding in Zurich: 35 employees and growing at a rate of 3 new people per month. RPG is very proud of them! More info here. Two papers accepted at ECCV 2018! Our papers on Asynchronous feature tracking using events and frames and on Stereo 3D reconstruction for SLAM have been accepted at ECCV 2018 in Munich! Check out our research page on event-based vision. Our research on autonomous drone racing was featured on NewScientist. Check out the article here. Our paper about safe quadrotor navigation computing forward reachable sets was accepted for publication in the Robotics and Automation Letters (RA-L) 2018. Check out the PDF. Paper accepted at RSS 2018! Our paper about drone racing was accepted to RSS 2018 in Pittsburgh! Check out the long version, short version and the video! Our paper on Continuous-Time Visual-Inertial Odometry for Event Cameras has been accepted for publication at Transactions of Robotics. Check out the paper. We welcome Dr. Dario Brescianini as new Postdoc in our lab! 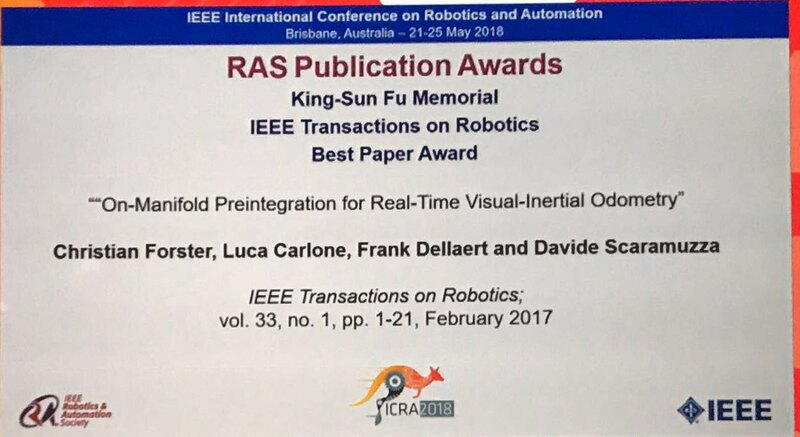 Our paper on IMU pre-integration received the 2017 IEEE Transactions on Robotics (TRO) best paper award at ICRA 2018 in Brisbane, Australia. Check out the paper here. Press coverage! IEEE Transactions on Robotics, vol 33, no. 1, pp. 1-21, Feb. 2017. Two papers accepted at CVPR 2018! Our papers on A unifying contrast maximization framework for event cameras and on Steering angle prediction for self-driving cars with event cameras have been accepted at CVPR 2018 in Salt Lake City! Check out our research page on event-based vision. 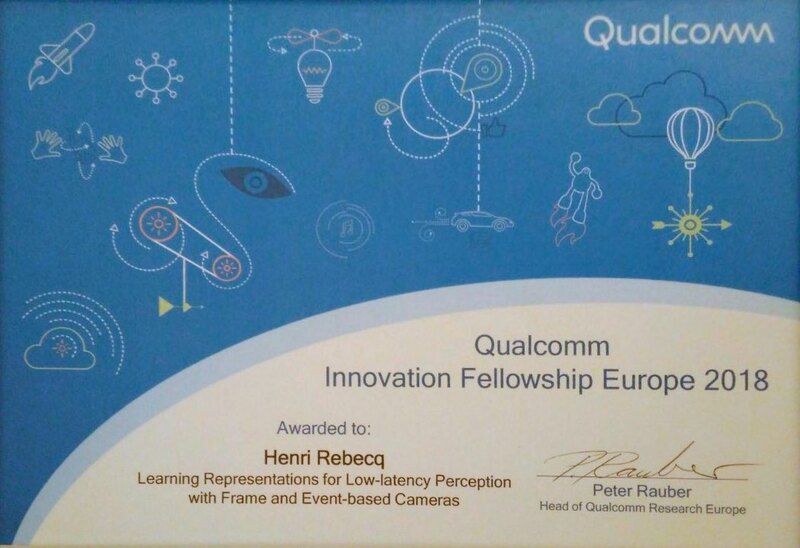 Henri Rebecq, a PhD student in our lab, won a Qualcomm Innovation Fellowship with his proposal "Learning Representations for Low-Latency Perception with Frame and Event-based Cameras"! We are happy to announce a Python/Tensorflow port of the FULL NetVLAD network, approved by the original authors and available here (see also our software/datasets page). The repository contains code which allows plug-and-play python deployment of the best off-the-shelf model made available by the authors. We have thoroughly tested that the ported model produces a similar output to the original Matlab implementation, as well as excellent place recognition performance on KITTI 00. We provide the code accompanying our recent Decentralized Visual SLAM paper. The code contains a C++/Matlab simulation containing all building blocks for a state-of-the-art decentralized visual SLAM system. Check out the paper, the Video Pitch, the presentation and the code. We provide the code of our FAST event-based corner detector. Our implementation is capable of processing millions of events per second on a single core (less than a micro-second per event) and reduces the event rate by a factor of 10 to 20. Check out our Paper, video, and code. We provide a complete framework for flying quadrotors based on control algorithms developed by the Robotics and Perception Group. We also provide an interface to the RotorS Gazebo plugins to use our algorithms in simulation. Check out our software page and the Github repository for more details. Christian Forster finalist in the Georges Giralt PhD Award! Christian Forster, first PhD student to graduate from RPG, ranked second in the 2017's edition of the George Giralt European PhD Thesis Award out of 41 applications. 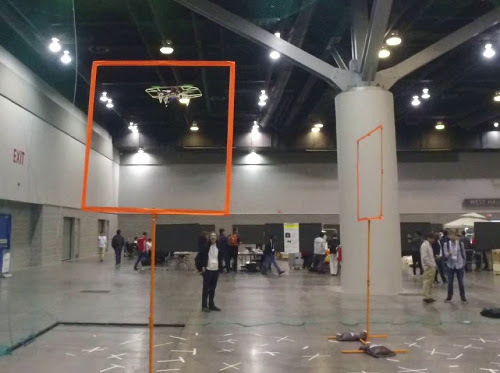 Our recent work on how to teach a drone to fly autonomously and safely in the streets of a city (PDF) received a huge media coverage. 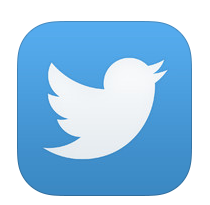 Check out our media page. Check out our publications page. Link from the PATENTSCOPE database. RPG impresses Swiss minister Schneider-Ammann and other federal and cantonal representatives at the inauguration of the Innovation Park Switzerland. Check out here. We have deviced a Deep Neural Network, called DroNet, that teaches a drone how to fly autonomously and safely in the streets of a city, among other vehicles, by imitating the behavior or cars and bicycles! Video, Paper, Datasets. We welcome Dr. Peng Lu as new Postdoc in our lab! Our work on differential flatness of quadrotor dynamics subject to rotor drag has been accepted for publication in the Robotics and Automation Letters. Read the paper here and watch the video here. Our group took part to the NCCR Robotics integrative demo of aerial and terrestrial robots for rescue missions. Check out the video here. We welcome Mathias Gehrig as new PhD student in our lab! In this clip, we summarize our main achievements, projects, awards, exhibitions, and upcoming videos! Watch our YouTube video! Our work on 3D reconstruction with an event camera in real-time has been accepted for publication in the International Journal of Computer Vision. Read the paper here. Paper accepted in T-PAMI ! Our work on 6-DOF ego-motion estimation with an event camera has been accepted for publication in IEEE Trans. Patter Analysis and Machine Intelligence. Check out the paper here. Our paper on efficient decentralized visual place recognition was accepted to MRS 2017! Our recent work on decentralized visual place recognition from full-image descriptors was accepted to MRS 2017, the first international symposium on multi-robot and multi-agent systems! 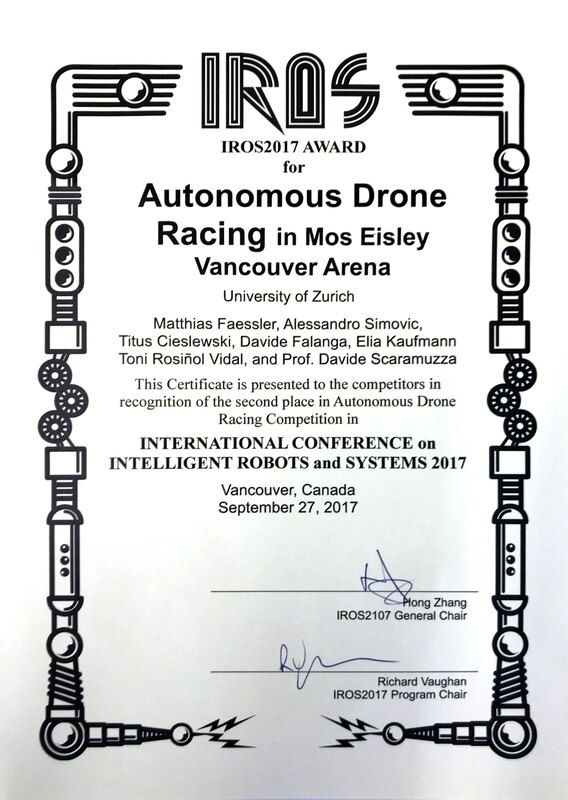 We ranked 2nd at the IROS 2017 Autonomous Drone Race in Vancouver. Check out the video of our performance here and the official website of the competition here. 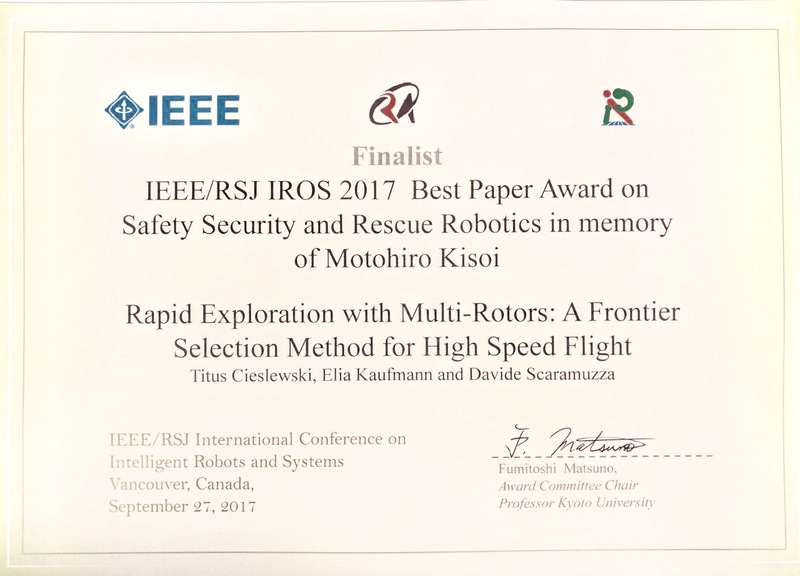 Our paper "Rapid Exploration with Multi-Rotors: A Frontier Selection Method for High Speed Flight" was nominated finalist for the Best Paper Award on Safety Security and Rescue Robotics at IROS 2017 in Vancouver. Check out the paper here. 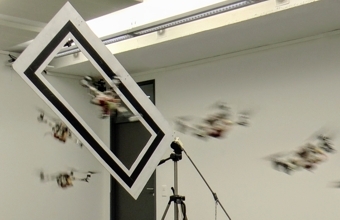 Our latest work on quadrotor flight with event cameras was featured on IEEE Spectrum. For more details, check our research page. Davide Scaramuzza talks about autonomous, agile, vision-controlled drones and event cameras at the GeorgiaTech robotics seminar series: check out the video here. Press release: RPG drones use event cameras to fly faster and even in the dark! This is the first ever autonomous flight with an event camera, which demonstrates agile maneuvers and flying in low-light environments. Possible applications could include supporting rescue teams with search missions at dusk or dawn. Check out the press release, our video and our paper. Giuseppe Loianno (UPenn), Davide Scaramuzza (RPG), and Vijay Kumar (UPenn) will organize the fourth international workshop on Vision-based High Speed Autonomous Navigation of UAVs. We have a new opening in our team for a Drone Research Engineer. See our open positions for more details. We are happy to announce that our lab is now affiliated with the Institute of Neuroinformatics (INI), a joint institute belonging to the University of Zurich and ETH Zurich. 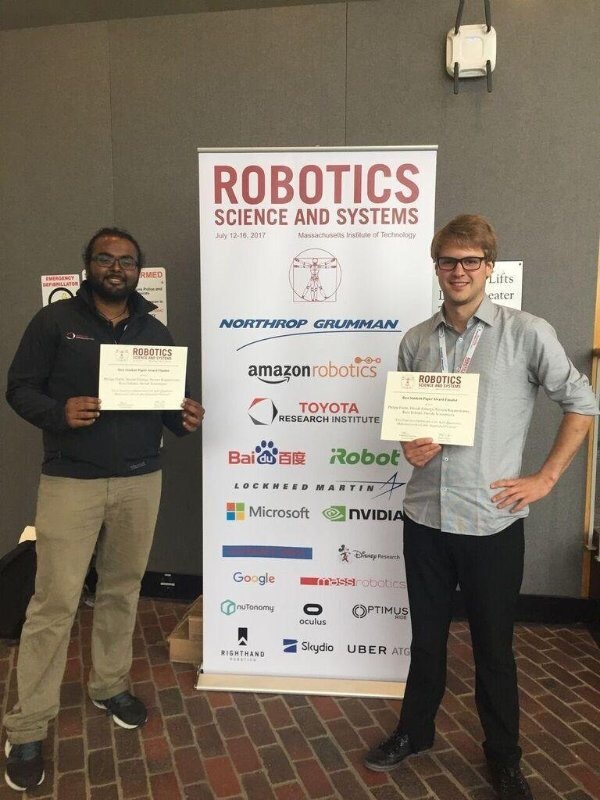 Philipp Foehn, PhD student in our lab, and Naveen Kuppuswamy, former visiting researcher, received the Best Student Paper Award Finalist prize at RSS 2017 in Boston for our work on trajectory optimization for agile quadrotor maneuvers with cable-suspended payloads. Check out the paper here and the video here. We are happy to release the binaries of our Semi-Direct Visual Odometry, SVO 2.0. It can run up to 400 frames per second on a modern laptop and execute in real-time on a smartphone processor. The binaries can be found here. We are happy to start The List of Event-based Vision Resources, which contains links to event camera devices as well as papers, videos, code, etc. describing the algorithms and systems developed using this exciting technology. We hope the list will help newcomers to the field to get started with this technology by directing them to the appropriate references. Help us improve the list by adding more entries! (Please follow the "Contributing" guidelines). We are happy to announce the release of the code for recovering the brigthness map that caused the events to be triggered. The code can be found here. Our paper Fast Trajectory Optimization for Agile Quadrotor Maneuvers with a Cable-Suspended Payload, accepted for oral presentation at RSS'17, was nominated as a finalist for the Best Student Paper Award! Check out the paper here and the video here. Slides and Videos of the ICRA17 International Workshop on Event-based Vision are out! The slides and videos of the talks of the International Workshop on Event-based Vision are now available at the workshop website and the RPG Workshops Youtube channel. We are happy to announce the release of the code for event lifetime. The lifetime of an event is the time that it takes for the moving brightness gradient causing the event to travel a distance of 1 pixel. More details in the following ICRA publication. The code can be found here. Davide Scaramuzza talks at Maker Festival of his home town! Prof. Davide Scaramuzza gave a talk at the Maker Festival in Terni about the role of computer vision in autonomous cars and drones. Check the news here (Italian). RPG wins the 2017 Misha Mahowald Prize for Neuromorphic Engineering! The Robotics and Perception Group wins the 2017 Misha Mahowald Prize, which recognizes outstanding achievement in the field of neuromorphic engineering. Check out the press release here. Watch out our summary video on Event-based Vision for Autonomous High-Speed Robotics. Our paper on Volumetric Information Gain Metrics for Active 3D Reconstruction has been published by Autonomous Robots! Our recent work comparing volumetric information gain metrics for object reconstruction is part of the Autonomous Robots special issue on Active Vision. Our PhD student Antonio Loquercio wins ETH Medal for Best Master thesis! Antonio Loquercio, PhD student in our lab, won the ETH Medal for his outstanding Master thesis! Congratulations! 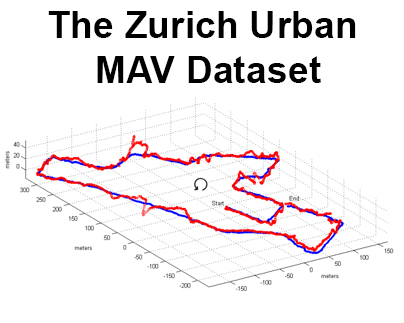 The Zurich Urban Micro Aerial Vehicle Dataset released! We are happy to announce the release of the first public, large-scale dataset recorded with a drone in an urban environment at low altitudes (5-15m). The 2 km dataset consists of time synchronized aerial high-resolution images, GPS and IMU sensor data, ground-level street view images, and ground truth data. The dataset is ideal to evaluate and benchmark appearance-based localization, monocular visual odometry, simultaneous localization and mapping (SLAM), and online 3D reconstruction algorithms for MAVs in urban environments. Go to the dataset webpage. Our paper on Collaborative Transport with Multiple MAVs appeared on Discovery Channel Canada. Check out the paper here. We welcome Dr. Suseong Kim, as new Postdoc, and Philipp Foehn, as new PhD student, in our lab! 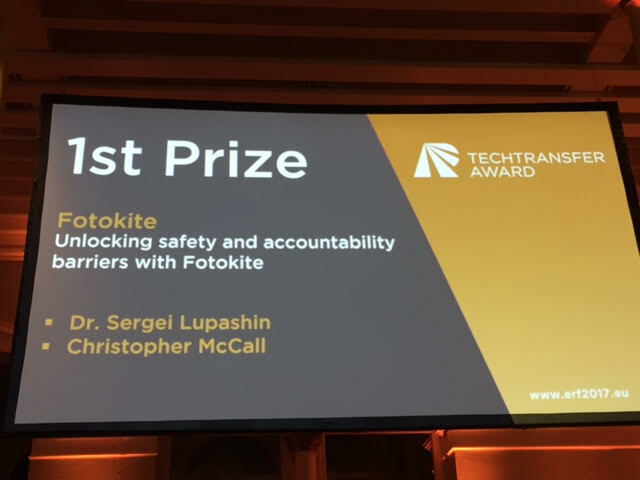 Fotokite, the Swiss startup developing tethered drones, which was incubated within RPG in 2014 through the NCCR Spin Fund, won the 2017 EUrobotics Tech Transfer Award! Congratulations! We are very proud of you! Davide Scaramuzza's seminar on visual-inertial state estimation, active vision, and event-based vision at CMU was featured on IEEE Spectrum. Watch the video on YouTube. Davide Scaramuzza talks about visual-inertial state estimation, active vision, and event-based vision at CMU Robotics Institute Seminar Series: YouTube, Abstract. Our research on autonomous drones was featured on the University of Zurich Journal, ranking 3rd on the list of the most popular news release of 2016. Check out the UZH Journal on Page 5. Dacuda's 3D Division, a long-standing collaborator of RPG, got acquired by Magic Leap, the unicorn of Augmented Reality (news here). One amazing result of our collaboration was a software that runs on a smartphone and delivers at the same time an immersive virtual-reality experience like high-end VR headsets. This software was the result of a great project with RPG, which was demoed at CES 2017 (LINK). Congratulations guys!. Davide Scaramuzza, Andrea Censi (MIT), and Guillermo Gallego (RPG-UZH) are organizing the first International Workshop on Event-based Vision. For info and applications, please see here. Welcome to Antonio Loquercio as a new PhD student in our lab! 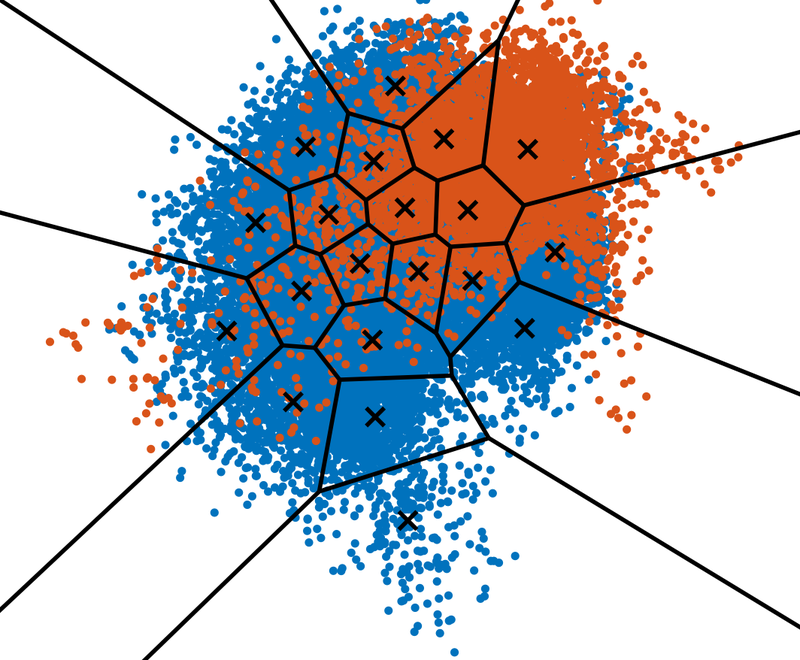 Our paper on efficient decentralized visual place recognition was accepted to RA-L! Our recent work on decentralized visual place recognition using a distributed inverted index was accepted to RA-L! 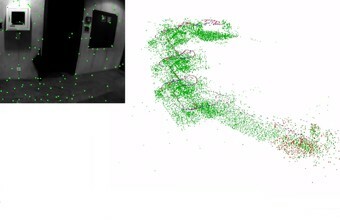 Our paper EVO (Event-based, 6-DOF Parallel Tracking and Mapping in Real-Time) was accepted to RA-L! 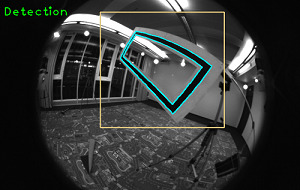 Our recent work on real-time parallel tracking and mapping with an event camera was accepted to RA-L! Check out the video here, and the paper here. Our paper on Accurate Angular Velocity Estimation with an Event Camera was accepted to RA-L! Our recent work on motion estimation with an event camera by contrast maximization was accepted to RA-L! Our recent work on quadrotor flight through narrow gaps using only onboard sensing and computing is featured on MIT Technology Review. Click here to read the article. Our lab was featured in the 2016 World Robotics report of the International Federation of Robotics as outstanding profile of research lab in service robotics. Check out the report here. We have several open PhD student and Postdoc positions in Deep Learning, Control, and Robot Vision for Agile, Vision-based Quadrotor Flight. For more info and applications, please see here. Facebook-Oculus VR Zurich (aka Zurich-Eye) is in the main Swiss news! Zurich-Eye, the Wyss-Zurich project co-founded in Sep. 2015 by former RPG members Christian Forster (author of SVO), Matia Pizzoli (author of REMODE), and Manuel Werlberger, gets featured in the Swiss news. Event-Camera Dataset and Simulator released! We are happy to announce the release of the first public datasets recorded with an event camera (DAVIS) for pose estimation, visual odometry, and SLAM applications! The data also include intensity images, inertial measurements, ground truth from a motion-capture system, synthetic data, as well as an event camera simulator! We believe that event cameras will allow future robots to move faster and more agilely. Find out more on the dataset website! 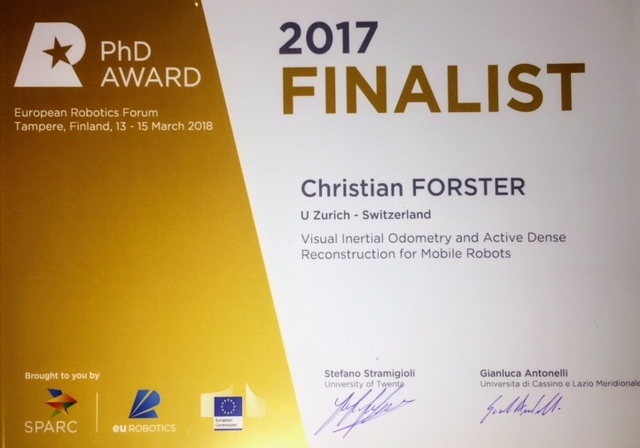 Our former student and current Research Assistant Timo Horstschäfer won the Fritz Kutter Award for Industry Related Thesis in Computer Science with his Master Thesis "Parallel Tracking, Depth Estimation, and Image Reconstruction with an Event Camera". This is the second time in two years that an RPG master student wins this prestigious award! Congratulations! 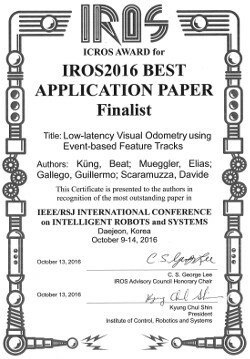 Our paper Low-Latency Visual Odometry using Event-based Feature Tracks was nominated as Finalist for the Best Application Paper Award at IROS 2016. Also, it was selected as highlight oral talk, with an acceptance rate of 0.4%. Congratulations to Beat Kueng, Elias Mueggler and Guillermo Gallego! IROS'16 workshop organized by Davide Scaramuzza attracts 200 people worldwide! Our third international workshop on Vision-based High Speed Autonomous Navigation of UAVs, co-organized by Giuseppe Loianno (UPenn), Davide Scaramuzza (RPG), and Vijay Kumar (UPenn) featured an impressive line of renowned speakers, live demos, industries, and attracted more than 200 people worldwide! 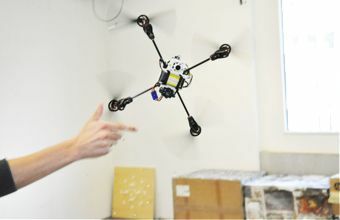 Our latest work on quadrotor flight through narrow gaps was featured on IEEE Spectrum and Robohub. For more details, check our research page. We welcome Rubén Gómez Ojeda from University of Málaga as new visiting PhD student in our lab! Agile Flight through Narrow Gaps! Best BMVC'16 Industry Paper Award! 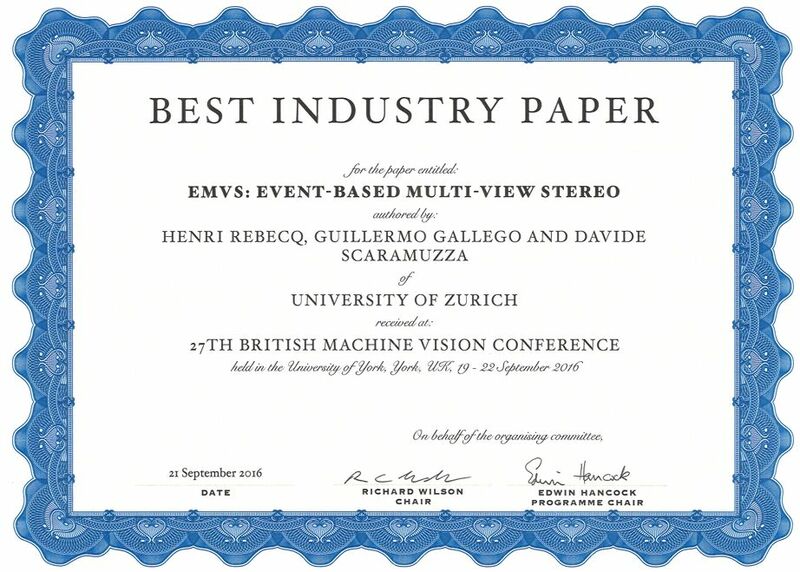 Our paper EMVS: Event-based Multi-View Stereo, receives BMVC'16 Best Industry Paper Award! Congratulations to Henri Rebecq and Guillermo Gallego! 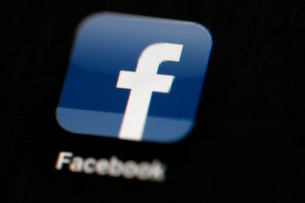 Zurich-Eye now part of Facebook-Oculus VR Zurich! Zurich-Eye, the Wyss-Zurich project co-founded in Sep. 2015 by former RPG members Christian Forster (author of SVO), Matia Pizzoli (author of REMODE), and Manuel Werlberger, is now part of Oculus VR Zurich. RPG is very proud of them! This highlights the importance and impact of the great work they have done! 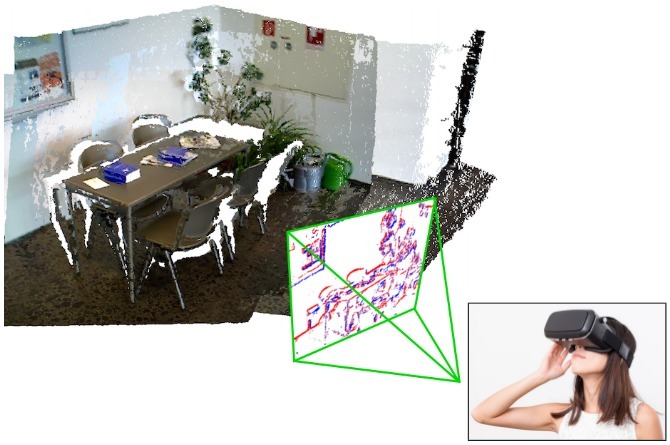 Our paper "EMVS: Event-based Multi-View Stereo" about monocular 3D reconstruction using an event camera has been accepted for oral presentation at BMVC'16! Check out our publication list. Welcome to Alessandro Simovic as a new drone engineer in our lab! Welcome to Stefano Ghidoni from the University of Padua as a visiting assistant professor in our lab! RPG and IDSIA have collaborated on a new paper, which will be presented at ISER 2016. We show that we can train a terrain classifier for search and rescue scenarios while our quadrotor is in flight, in only one minute! Results can be seen in this YouTube video, and details can be found in our publication list. Check out our SLAM position paper! Cesar Cadena, Luca Carlone Henry Carrillo, Yasir Latif, Davide Scaramuzza, Jose Neira, Ian Reid, and John Leonard have co-authored a paper on Simultaneous Localization And Mapping: Present, Future, and the Robust-Perception Age. Check it out! Zichao Zhang and Titus Cieslewski were in the reading group that won the reading group competition at the International Computer Vision Summer School. One of the main ingredients for this success was an experimental literature visualization tool developed at the RPG group retreat. We have an open position in our team for a Drone Research Engineer. Check out our open positions. The software package corresponding to the paper An Information Gain Formulation for Active Volumetric 3D Reconstruction is now available from our Github page. 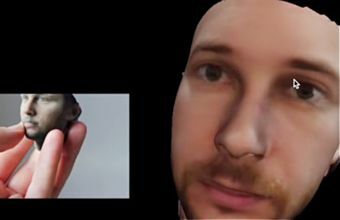 This is a general, open-source, framework for volumetric reconstruction that is object, sensor, and robot-agnostic. Some results can be see in this YouTube video. Welcome to Dr. Naveen Kuppuswamy, our new visiting researcher from Toyota Research Institute Boston (MA)! 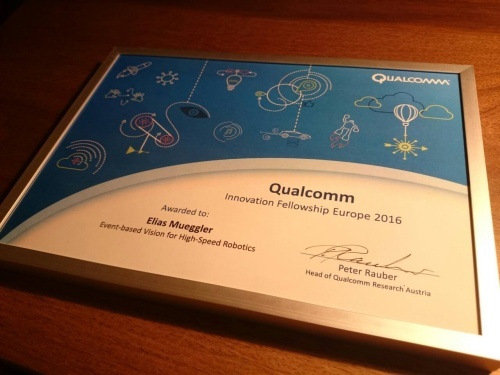 Elias Mueggler, a PhD student in our lab, won a Qualcomm Innovation Fellowship with his proposal "Event-based Vision for High-Speed Robotics"! Four new papers accepted for RA-L/ICRA'16! RPG receives huge media coverage worldwide! 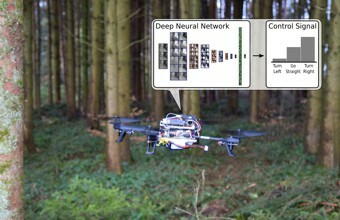 We received huge media coverage for our research on autonomous drone navigation in the forests using Deep Neural Network; among these, Discovery Channel Canada and NBC News. 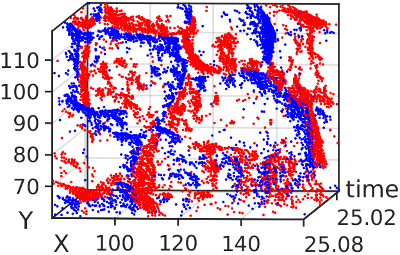 Our recent work on autonomous navigation in the forests using Deep Neural Networks makes it to IEEE Spectrum and Robohub. 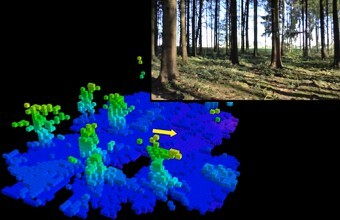 Our recent work on autonomous navigation in the forests using Deep Neural Networks makes it to the Swiss National TV News channel: SRF Tagesschau. This research appeared in the IEEE Robotics and Automation Letter, will be presented at the IEEE International Conference on Robotics and Automation (ICRA'16) and is nominated for the best AAAI video Award. Journal paper. More info. YouTube video. Davide Scaramuzza was appointed Associate Faculty at Wyss Zurich, the new translational center of UZH and ETH Zurich dedicated to regenerative and robotics technologies. One of our students receives a prize from Homegate at HackZurich! 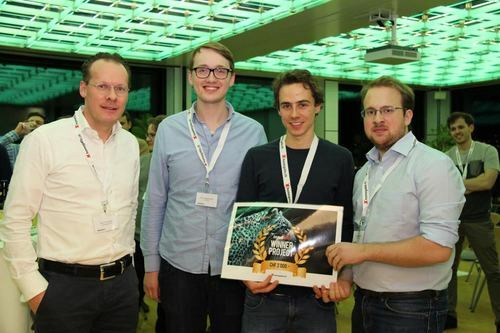 Titus Cieslewski, a PhD student in our lab, has received a prize from Homegate during the HackZurich hackathon, for the project Wonsch. He and his team were among the top 3 of the 20 teams that participated in the Homegate challenge during the hackathon. Welcome to Titus Cieslewski as a new PhD student in our lab! Davide Scaramuzza from Magic to Robotics! 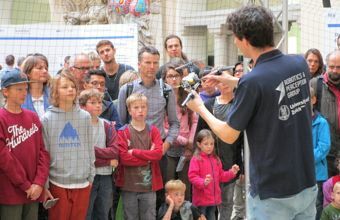 NCCR Robotics interviews Davide Scaramuzza about how his academic path, from working as a magician in theaters and public squares to pay his undergraduate studies to becoming a robotics professor (LINK). NCCR Robotics organized the Swiss Robotics Industry day at EPFL Lausanne. We showed the collaboration of a flying robot with a legged robot from ETH Zurich. Some highlights are shown in a video by Le Matin. An interview with Davide Scaramuzza was published on Robots Podcast and Robohub. 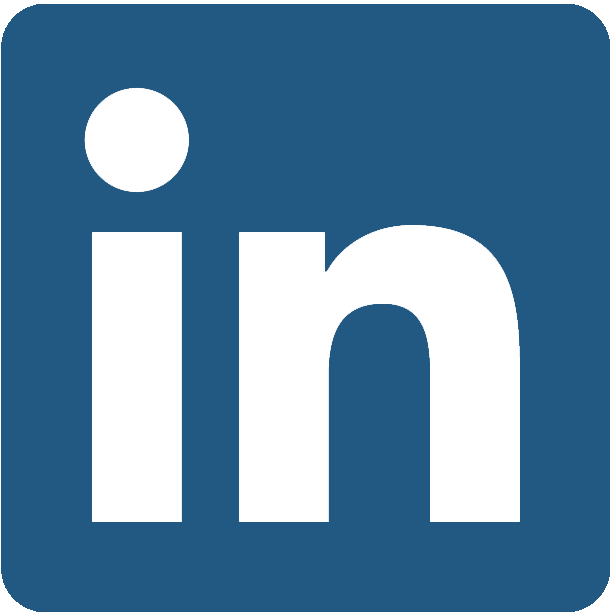 Check out our media page! Giuseppe Loianno (UPenn), Davide Scaramuzza (RPG), and Vijay Kumar (UPenn) will organize the third international workshop on Vision-based Control and Navigation of Small, Lightweight UAVs at IROS'15. IROS'15 workshop organized by Davide Scaramuzza attracts 200 people worldwide! Our second international workshop on Vision-based Control and Navigation of Small, Lightweight UAVs, co-organized by Giuseppe Loianno (UPenn), Davide Scaramuzza (RPG), and Vijay Kumar (UPenn) featured an impressive line of renowned speakers, live demos, industries, and attracted more than 200 people worldwide! Davide Scaramuzza gives a tutorial on event-based vision at the IROS'15 workshop on Alternative Sensing for Robot Perception: Beyond Laser and Vision. The slides can be downloaded from here. Welcome to Michael Gassner as a new research assistant in our lab! The Robotics and Perception Group showed their research at Scientifica, the science fair of ETH and University of Zurich. 25.000 visitors attended the event. Have a look at the gallery! Giuseppe Loianno (UPenn), Davide Scaramuzza (RPG), and Vijay Kumar (UPenn) will organize the second international workshop on Vision-based Control and Navigation of Small, Lightweight UAVs at IROS'15. Christian Forster (author of SVO), Matia Pizzoli (author of REMODE), and Manuel Werlberger create Zurich-Eye, an spinoff project of Wyss-Zurich dedicated to the commercialization of visual-inertial navigation solutions. 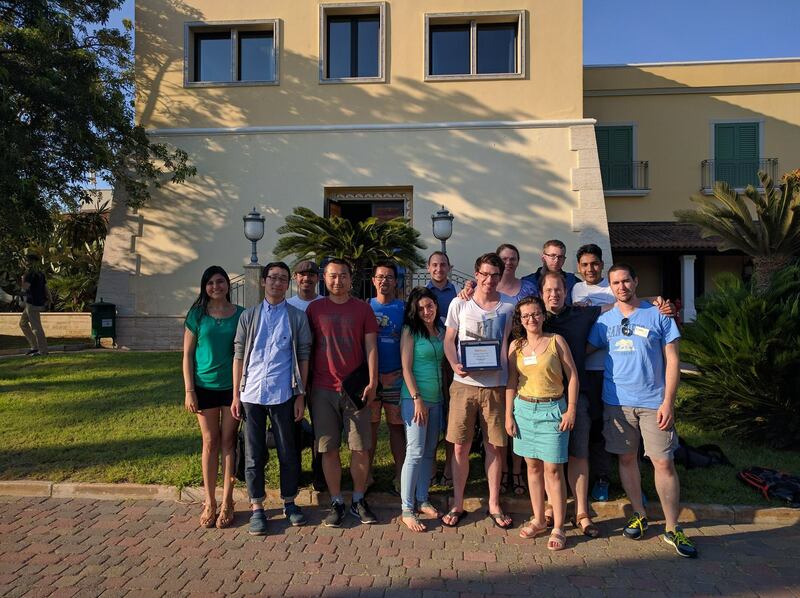 Christian Forster's RSS'15 paper is Best Paper Award Finalist at RSS'15! Two new papers accepted for RSS'15, one for ECMR'15! Welcome to Henri Rebecq as a new PhD student in our lab! Andrea Censi (MIT) and Davide Scaramuzza organized a workshop on Innovative Sensing for Robotics at ICRA'15! Our latest work on failure recovery from agressive flight IEEE Spectrum. For more details, see the ICRA'15 paper and the accompanying video. Welcome to Davide Falanga as a new PhD student in our lab! Three new papers accepted for ICRA'15! RPG showcased its autonomous quadrotors and live 3D reconstruction at this year's CeBIT, the world's largest computer expo! See some pictures in our gallery. 3 new journal papers accepted! Our SSRR'14 paper on "Aerial-guided Navigation of a Ground Robot among Movable Obstacles" was selected as Finalist for the Best Paper Award. Our ICRA'14 paper "REMODE: Probabilistic, Monocular Dense Reconstruction in Real Time" was nominated as Finalist for the NCCR Best PostDoc Paper Award. RPG Master student wins Fritz Kutter Award! Our former Master student Basil Huber won the 2014 Fritz Kutter Award for Industry Related Thesis in Computer Science. His thesis was on High-Speed Pose Estimation using a Dynamic Vision Sensor. Congratulations! Our latest work on event-based vision was featured on IEEE Spectrum. For more details, see the IROS'14 paper and the accompanying video. We welcome Dr. Manuel Werlberger as new Postdoc in our lab! We are also happy to host Junije Zhang and Zichao Zhang as visiting PhD students. New paper accepted for SSRR'14! We will demonstrate autonomous, vision-based flight and live dense 3D mapping with a quadrotor MAV at the ECCV workshop on Computer Vision in Vehicle Technology on Sep. 6 at 5:30pm. Watch here the video preview. We welcome Dr. Guillermo Gallego and Dr. Jeff Delmerico as new Postdocs in our lab! We are also happy to host Antonio Toma, Gabriele Costante, Nathaly Gasparin, Ra'Eesah Mangera, Kumar Shaurya Shankar and Xin Yu as visiting students this year. Many thanks to Google Tango! 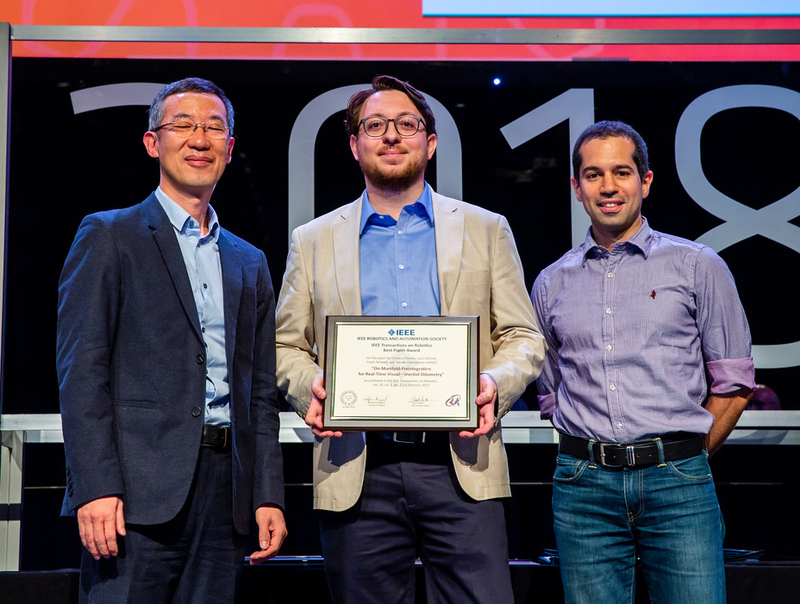 Davide Scaramuzza wins IEEE Robotics and Automation Early Career Award! 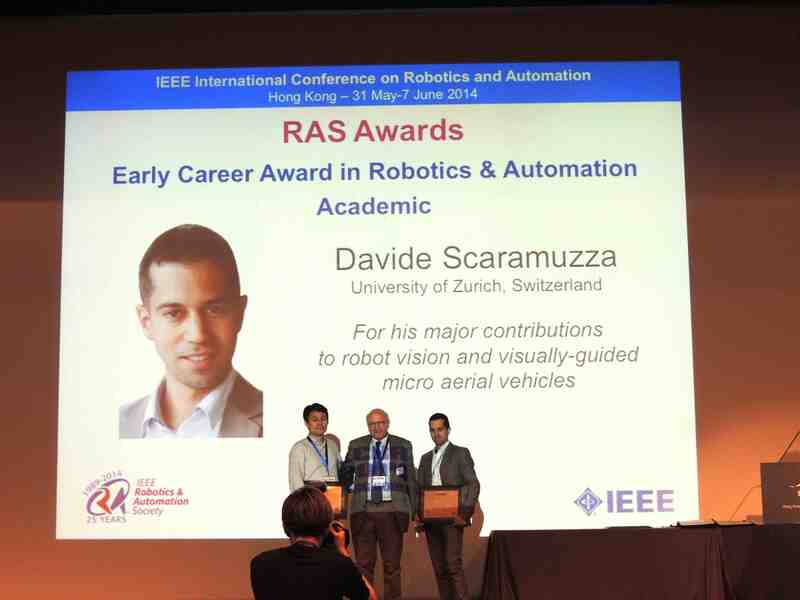 Davide Scaramuzza wins the 2014 IEEE Robotics and Automation Society Early Career Award "for his major contributions to robot vision and visually-guided micro aerial vehicles". 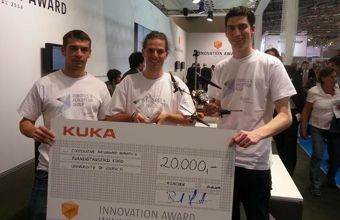 RPG wins KUKA Innovation Award! 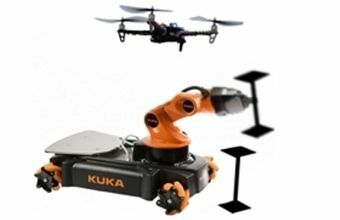 The Robotics and Perception Group wins the KUKA Innovation Award (20.000 EUR) with its demonstration of collaboration of flying and ground robots for search-and-rescue missions. Watch a video of the demo at AUTOMATICA. The software corresponding to the paper SVO: Fast Semi-direct Monocular Visual Odometry can now be downloaded from our Github page. The source code is released under a GPLv3 licence. A professional edition license for closed-source projects is also available. RPG appears among the best 12 European robotics success stories advertised by EU commission. Read the full article. Our latest work on event-based vision was featured in the MIT News. For more details, see the ICRA'14 paper. Two new papers accepted for RSS'14 and IROS'14! Davide Scaramuzza wins Google Faculty Research Award! Eight new papers accepted for ICRA'14! The Robotics and Perception Group was featured in the news programme 10vor10 of the Swiss National TV (SRF). Check the video! KUKA Best Student Project Award 2013! 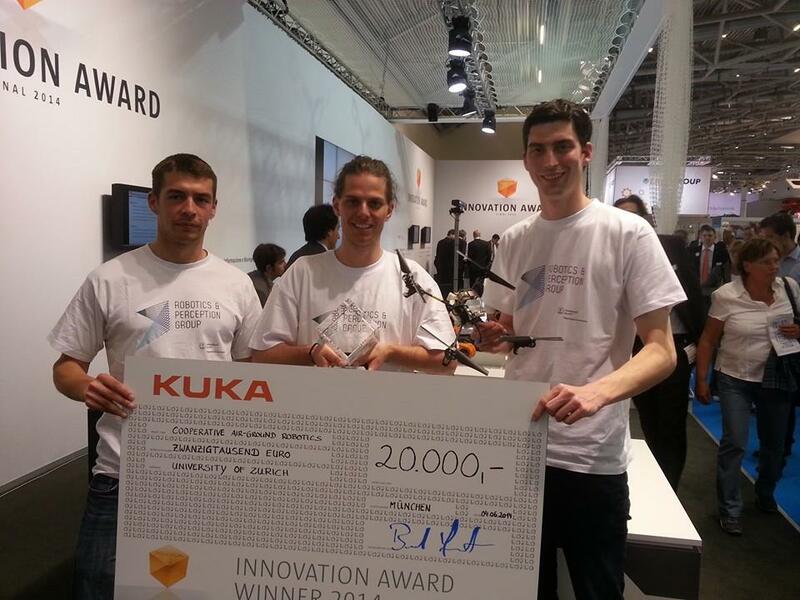 Benjamin Keiser won the KUKA Best Student Project Award 2013 with his Master thesis Torque Control of a KUKA youBot Arm that he did with the Robotics and Perception Group. A demonstration of the capabilities of his controller is shown in this video. The Robotics and Perception Group was featured in a documentary on the German-French TV channel ARTE. Check both the German and French version! Henri Seydoux, CEO and founder of Parrot, the company making the popular toy quadrocopter AR.Drone, visited us. Open position at the Robotics and Perception Group. Check here. We are organizing the first international workshop on Vision-based Closed-Loop Control and Navigation of Micro Helicopters in GPS-denied Environments, featuring amazing live flight demonstrations! We will be presenting papers in sessions Localization II (Nov. 4) and Unmanned Aerial Vehicles IV (Nov. 5). We welcome Sergei Lupashin as a new Postdoc in our lab! Five new papers accepted for IROS'13 and ECMR'13! We welcome Reza Sabzevari as a new Postdoc in our lab! Welcome to Flavio Fontana as a new PhD student in our lab! Our Easter video featuring a ground and an aerial robot was featured in IEEE Spectrum News and Gizmodo, the famous technology review blogs. Read the articles: IEEE Spectrum and Gizmodo. Weltwoche, a Swiss weekly magazine, talks about drones in the daily life. Read the article: "Der Spion von deinem Fenster" (German only). Welcome to Chiara Troiani from INRIA, Volker Grabe from Max Planck Institute, and Damiano Verda from University of Genoa, who will join us for six months. 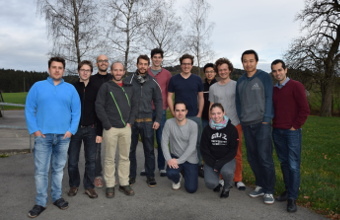 Welcome to Matthias Faessler and Elias Mueggler as new PhD students in our lab! We welcome Dr. Matia Pizzoli and Dr. Andras Majdik, our two new postdocs, and to Yanhua Jiang and Volker Grabe, our new visiting PhD students! Welcome to Dr. Andrea Censi, our new visiting postdoc for three months! Prof. Davide Scaramuzza has been invited to give a talk at TEDxZurich on October 25, 2012. Join the talk about Christian Forster's work on Collaborative Visual SLAM with Multiple MAVs at the RSS workshop on integration of perception with control and navigation for resource-limited, highly dynamic, autonomous systems. Congratulations! Download the press release. We welcome Christian Forster as new PhD student in our lab! The European project sFly, coordinated by Davide Scaramuzza, gets a log of media attention and gets featured on IEEE News. Read it here. We present the first foldable drone that can guarantee stable flight with any configuration. It can squeeze to fly through narrow gaps. Read the paper for further details. 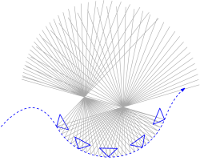 We release the code of Perception-Aware Model Predictive Control (PAMPC). 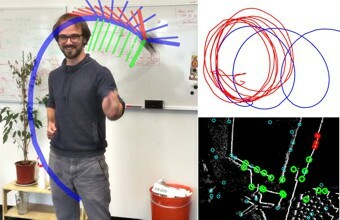 PAMPC allows drones to navigate trajectory while keeping the visibility of a point of interest (a gate, a gap, texture). Paper. 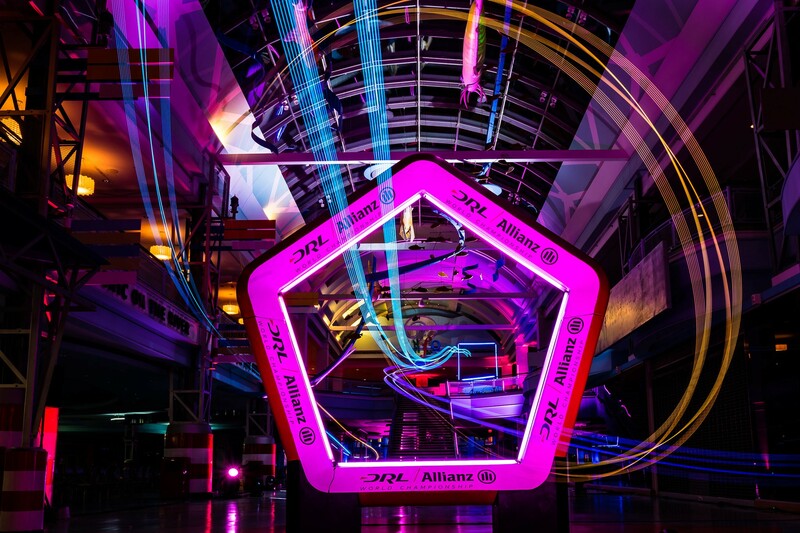 We combined deep networks, local VIO, Kalman filtering, and optimal control to achieve ultimate speed for autonomous drone racing. Paper describing the approach. 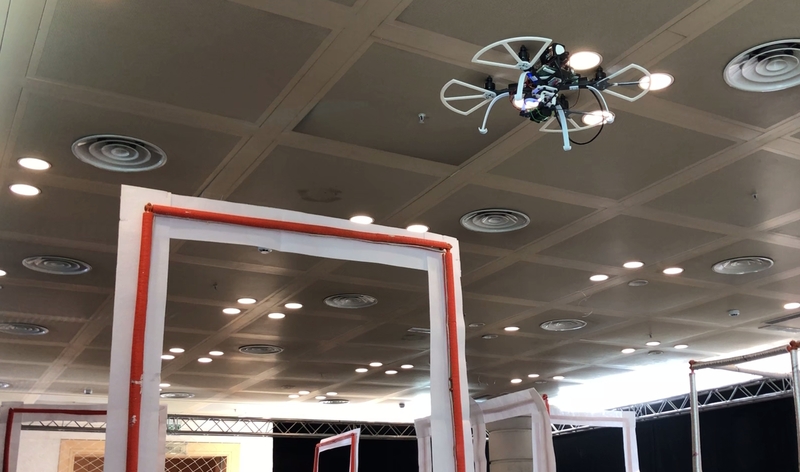 Our performance at the IROS'18 Autonomous Drone Race Competition, where we won the 1st place passing all 8 gates in just 30 seconds and outracing the 2nd placing team by a factor of 2! We combined deep networks, local VIO, Kalman filtering, and optimal control. Paper describing the approach. 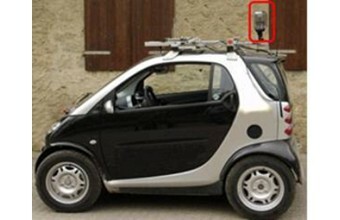 Event cameras allow predicting the steering angle of a car more robustly and accurately at night and high dynamic range scenes than a standard camera. Paper. Watch the first ever autonomous quadrotor flight with an event camera using our UltimateSLAM. RAL'18 paper. DroNet is a Deep Neural Network architecture that makes drones able to fly autonomously and safely in the streets of a city, among other vehicles, by imitating the behavior of cars and bicycles! Video, Paper, Datasets. Check out our latest work on active exposure control for robust visual odometry in high dynamic range environments: ICRA'17 paper. We are awarded the 2017 Misha Mahowald Prize, which recognizes outstanding achievement in the field of neuromorphic engineering. Press release. We release the first public, large-scale dataset recorded with a drone in an urban environment at low altitudes (5-15m). Dataset here. Check out our latest work, EVO, on Event-based, 6-DOF Parallel Tracking and Mapping in Real-time: RA-L'16 paper. 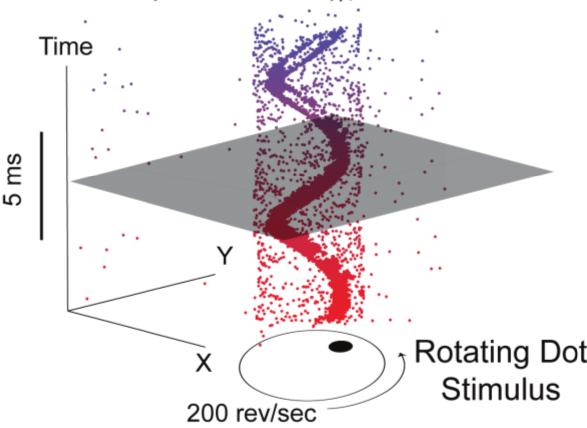 Check out our latest work on rotational motion estimation with an Event Camera: RA-L'16 paper. 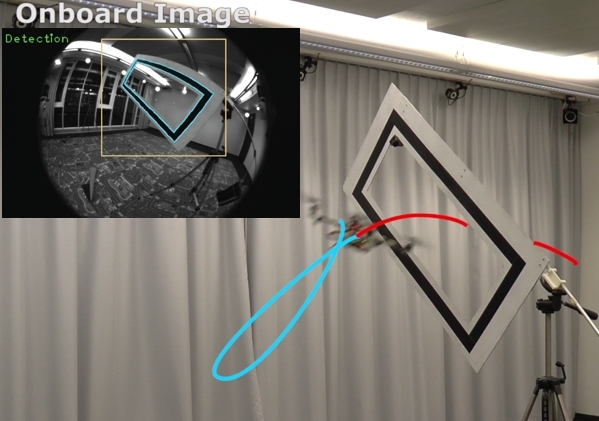 Check out our latest work on agile quadrotor flight through narrow gaps with onboard sensing and computing: More info here. 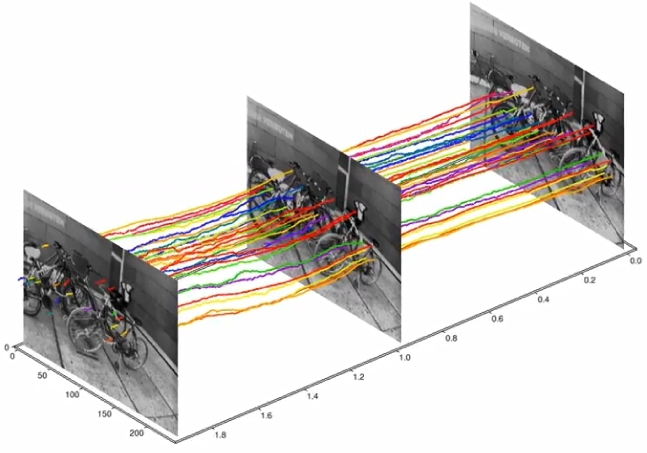 Check out our latest work on Event-based Multi-View Stereo, which uses a single, continuously moving event camera for accurate 3D reconstruction! BMVC'16 paper. Our latest work on search and rescue robotics is a system for training a terrain classifier "on-the-spot" in only 60 seconds. Our flying robot can then use this classifier to guide a ground robot through a disaster area. Details are in our ISER'16 paper. We designed an event-based 6-DOF pose tracking pipeline with the latency of 1 microsecond using the DVS sensor for very high speed (>500 deg/sec) and high-dynamic-range (> 130 dB) applications, where all standard cameras fail. All the details in our Arxiv paper. We designed an event-based 6-DOF visual odometry pipeline with the latency of 1 microsecond using the DAVIS sensor. All the details in our IROS'16 paper and EBCCSP'16 paper. We used Deep Neural Networks to teach our drones to recognize and follow forest trails to search for missing people. Journal Paper. More info. Our active volumetric reconstruction software framework is now released open source. More details in our ICRA'16 paper. Our latest work on failure recovery from aggressive flight and how to launch a quadrotor by throwing it in the air! ICRA'15 paper. Our latest work on autonomous landing-site detection and landing with onboard monocular vision! ICRA'15 paper. To celebrate our lab's 3-year anniversary, we summarize in this clip our main achievements, projects, awards, exhibitions, and upcoming videos! Our latest work on Aerial-guided Navigation of a Ground Robot among Movable Obstacles. More details in our SSRR'14 paper. Our latest work on Appearance-based Active, Monocular, Dense Reconstruction for Micro Aerial Vehicles. More details in our RSS'14 paper. 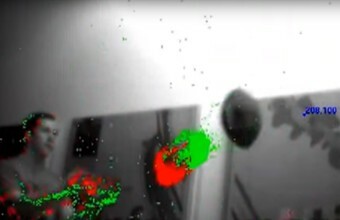 Our latest work on event-based vision: 6-DOF Pose Tracking for High-Speed Maneuvers. More details in our IROS'14 paper. Our quadrotor demo trailer: autonomous navigation, live dense 3D reconstruction, and collaborative grasping. 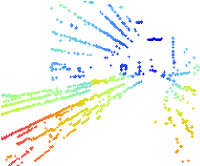 SVO - our new visual odometry pipeline for MAV state estimation. More details in our ICRA'14 paper. Our latest work on probabilistic, monocular dense reconstruction in real time. More details in our ICRA'14 paper. Our monocular pose estimation system that is released as open-source. More details in our ICRA'14 paper. RPG was featured on the German-French TV channel ARTE in their science programme X:enius. The French version is available here. Watch the video for our new IROS'13 paper "Air-Ground Localization and Map Augmentation Using Monocular Dense Reconstruction". Check out our new IROS'13 paper "MAV Urban Localization from Google Street View Data". Watch the video for our new IROS'13 paper "Collaborative Monocular SLAM with Multiple Micro Aerial Vehicles". Autonomous Vision-Controlled Micro Flying Robots: Davide Scaramuzza at TEDxZurich. © 2016 Robotics and Perception Group, University of Zurich, Switzerland.